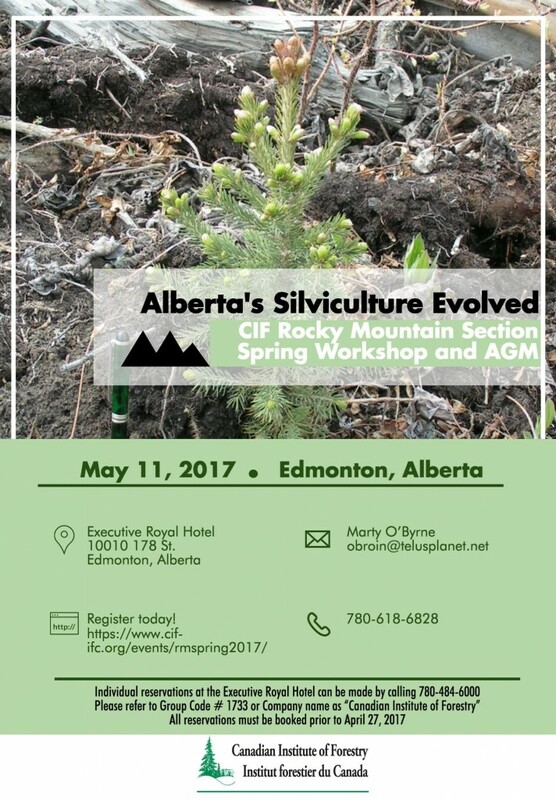 It’s been a significant amount of time since Rocky Mountain Section has delivered a workshop with a silviculture-related theme. 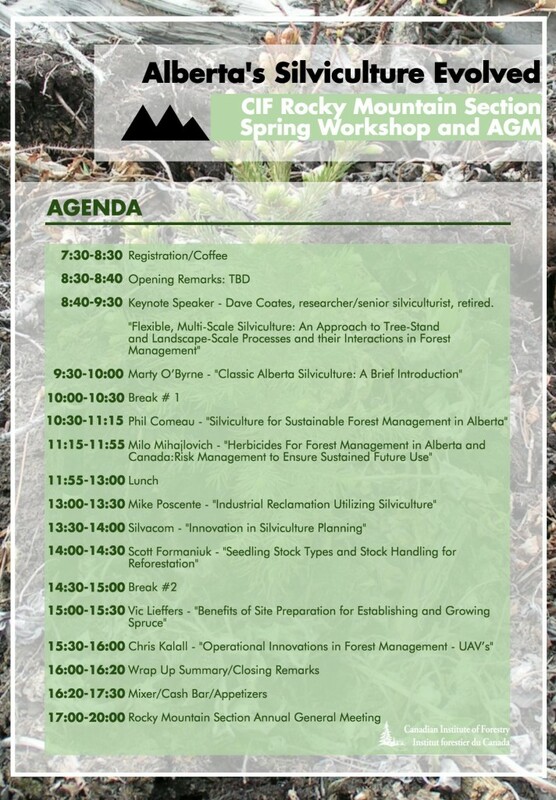 This workshop is intended to bring the subject of silviculture in Alberta back to the forefront. But while we’ve chosen to highlight and update classic silviculture subjects such as site preparation and herbicide use, we are interested in spotlighting the innovation that has arisen in the industry in the past few years. Also, we wanted to touch on the much wider and current application of silviculture in relation to reclamation of industrial sites. And you don’t want to miss our Keynote Speaker as he explores the subject of silviculture in the wider context of future possibilities, different paradigms and meeting ecological objectives. This workshop promises to be a refreshing visit back to where the real science in forest management resides. The workshop should be of interest to not only the forestry student, but the field practitioner and specialist, as well as the researcher. You don’t want to miss this unique opportunity presented by some of Alberta’s finest speakers on the subject. The CIF Rocky Mountain Section Annual General Meeting will follow immediately after the workshop as well! CIF Rocky Mountain Section Annual General Meeting. The meeting will take place at the Royal Executive Inn (10010-178 St) in Edmonton Alberta on May 11, 2017. The meeting will be called to order at 5:30pm and is expected to be adjourned at 7:30pm. The proposed agenda is attached here. Please come out and hear about the accomplishments of this past year and the exciting plans for the coming year! Please refer to Group Code # 1733 or Company name as “Canadian Institute of Forestry”. All reservations must be booked prior to April 27, 2017. Register early and guarantee your attendance at this event!